Hart Windows is based in Fleet, Hampshire, and can offer you a high-quality, space enhancing range of bow and bay window. Made for homes of any shape and size, the unique range is guaranteed to reward you with a multitude of benefits; such as thermal efficiency and ample amounts of natural light. Why Invest in Our Bow or Bay Windows? We work with market-leading companies, Rehau and Liniar, to provide you with the highest quality bow and bay windows on the market. Our bow and bay style windows are guaranteed to provide you with all the benefits at a reasonable, affordable price. Our range of bow and bay windows are made to measure to guarantee a seamless fitting. Each window panel is quality checked to ensure it is designed and made to your exact specifications, meaning you can start to enjoy the extra space as soon as possible. Our range of aesthetically pleasing bow and bay windows are manufactured to suit homes of any shape and size. Each window is intelligently designed to provide you with an array of benefits including reduced energy bills and more floor space. Installing a bow and bay window from our extensive range can enhance the aesthetics of your home, adding value to the property and ensuring it is unique to others. It creatively amplifies the space in your home, making even the smallest rooms look larger. Bow and bay windows are notorious for intelligently maximising the amount of natural light that enters your home, making the smallest room seem more spacious. With the intelligently designed six-chamber profile, your window will successfully trap heat inside, gently warming your home. Adding value to your home is quick and easy with our extensive range of bow and bay windows. Contact a member of our team today to find out how they can enhance the features of your home, or use the online quote generator to get a bay or bow window quote in minutes. We draw on decades of experience in the industry to provide you with the best product and customer service at a competitive price. Our team of experts are highly trained and extremely knowledgeable, so you are provided with a service you can trust. We are on hand to provide you with all the information you need, answering any questions you may have, to ensure you find the perfect bay and bow window for your home. You don’t need to worry about miscommunication, as we a here to guide you through the entire process. To find out more about the wide range of products we have to offer, give us a call on 01252 623 404 and an experienced member of our team will be happy to provide you with relevant information. How Will Our Bow or Bay Windows Benefit Your Home? Each bow and bay window on offer is intelligently designed to make the most of the natural heat from the sun, gradually warming your home from the inside. With its double-glazing property, it will leave the cold weather outside, helping to reduce your energy bills. Our bow and bay windows are designed to allow easy access to fresh air. Installed with your best interests in mind, we manufacture our range to provide optimal ventilation, ensuring fresh cool air can pass through when hot. This gives you a comfortable atmosphere inside your home. If you are bored with the outside of your home looking dull and dated, installing a bow and bay window is the perfect option. With its ability to create a beautiful curved shape, it will blend seamlessly with the outside of any modern or traditional property. We pledge to provide you with the highest-quality product and the best customer service, which is why we have chosen to work with Liniar. Market leaders in the industry, they provide excellent products you can trust. Each bow and bay window is available in a variety of customisation options, ensuring it matches the interior and exterior of your home perfectly. REHAU are another outstanding bow and bay window provider we have chosen to work with. Their high-performance products enable the highest level of safety and security, giving you added peace of mind. After rigorous testing of each window provided, we can guarantee that REHAU windows are the perfect choice for reducing your energy bills and carbon footprint, increasing your eco-friendliness. Whether you chose to install a bow window or bay window in to your home, you will receive the highest level of thermal efficiency all year. Comfort is guaranteed with our extensive range of windows, so you won’t have to worry about being too cold again. The bow and bay windows we offer provide you with complete protection against unwanted intruders attempting to enter your home. With market-leaders manufacturing these windows with a high-tech locking system, you can relax knowing you are safe inside your home. If you want your bow and bay window to fit in easily with your home, have a look at our ever-growing range of colours and woodgrain effects, with additional glass options too. Be sure to build your dream window with our wide variety of customisation options. 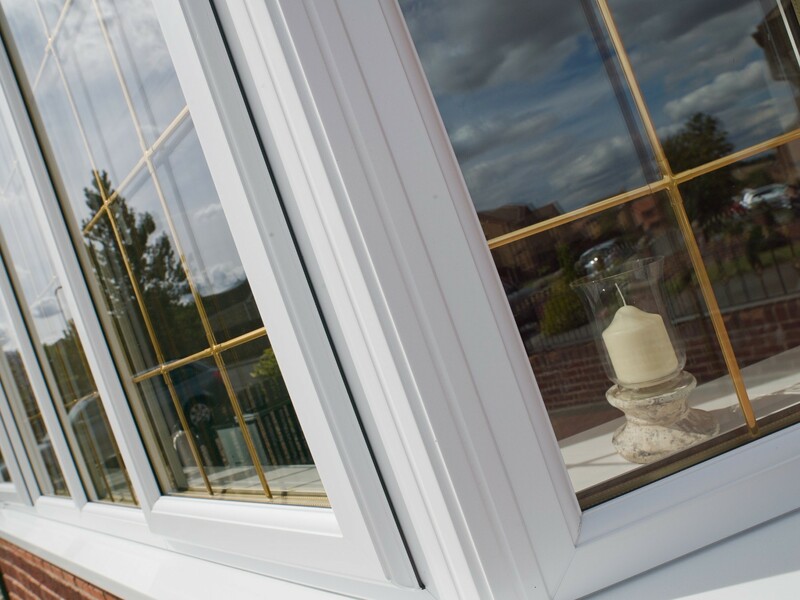 Hart Windows supply and install bay and bow windows throughout Fleet, Farnborough, Guildford, Basingstoke, Camberley and surrounding areas in Hampshire and Surrey. With years of experience, you can rely on us for your new double glazing window installations. You can contact us today to find out about how much a uPVC bay window costs, or how much uPVC bow window will cost. We offer our window prices through an online quoting tool, which allows you to enter your specifications to receive a tailored guide price.